Discussion in 'In the News' started by xcel, Apr 18, 2017. Demon says to Chevrolet and Ford, "Go F*** yourself." New York, NY – At this years New York International Auto Show(NYIAS), Dodge let loose another bomb with the release of its all-new 840 hp 2018 Demon high-performance street legal drag car. As a follow on to the 2014 release of the 707 hp Charger and Challenger SRT Hellcats which still have not been topped by the other Big 2, this one is all balls and no froth. Here are some basic indicators regarding its monster yet street legal prowess direct from the release. Powered by an 840 hp, supercharged 6.2-liter HEMI Demon V8, the limited-production Challenger SRT Demon is the world’s most powerful factory-production V8 without question. The NHRA-certified 9.65 seconds @ 140 mph makes the Dodge Challenger SRT Demon the fastest ¼-mile car in the world. The Challenger SRT Demon also is the world’s first production car to lift the front wheels at launch and set the world record for longest wheelie from a standing start by a production car at 2.92 feet, certified by Guinness World Records. The Challenger SRT Demon also registers the highest g-force (1.8 g) ever recorded at launch in a production car. The heart of the 2018 Dodge Challenger SRT Demon is the supercharged 6.2L HEMI Demon V8, rated at 840 hp and 770 lb-ft of torque. The red-painted Demon engine has been certified to the SAE J1349 industry standard for its horsepower and torque ratings. The engine also meets all applicable legal emissions regulations. While the Demon V-8 shares its architecture with the 707 hp 6.2L supercharged HEMI Hellcat V8, it is not simply a Hellcat engine with more boost. The Demon V-8 engine has 25 major component upgrades from the Hellcat engine, including supercharger, pistons, rods, valve train and fuel injection system. The HEMI Demon V8 includes a high-speed valvetrain, strengthened connecting rods and pistons, and improved lubrication system. The upgrades enable the engine to sustain higher output and pressures while meeting the company’s stringent durability requirements. One key to the Challenger SRT Demon’s best-ever power output is air – the supercharged Demon V8 takes in plenty of it. The SRT Demon’s Air-Grabber hood includes the largest functional hood scoop (45.2 square inches) of any production car. The Air-Grabber hood is sealed to the air box, which is also fed from the driver-side Air-Catcher headlamp and an inlet near the wheel liner. Combined, those sources give the Demon V-8 an air-flow rate of 1,150 cubic feet per minute, 18 percent greater than the Hellcat V8 and the largest air induction volume of any production car. The additional air inlets help reduce the temperature of the intake air by more than 30 degrees Fahrenheit compared with the Hellcat V8, which improves overall throttle response. The innovative SRT Power Chiller is a production car first. It diverts the air-conditioning refrigerant from the SRT Demon’s interior to a chiller unit mounted by the low-temperature circuit coolant pump. Charge air coolant, after being cooled by ambient air passing through a low-temperature radiator at the front of the vehicle, flows through the chiller unit, where it is further cooled. The chilled coolant then flows to the heat exchangers in the supercharger. When the engine is shut down, the After-Run Chiller keeps the engine cooling fan and low-temperature circuit coolant pump running to lower the supercharger/charge air cooler temperature, helping the Challenger SRT Demon minimize heat soak effects. 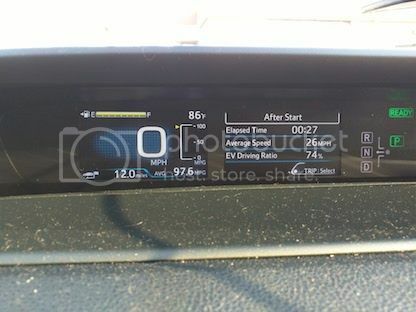 The driver can track the supercharger coolant temperature on the 8.4” Uconnect touchscreen in the instrument panel, and know in real time when the supercharger is at the optimum temperature for another run. The impact of the SRT Power Chiller and After-Run Chiller, combined, lowers intake air temperature by up to 45 degrees Fahrenheit. Fueling performance: 100+ unleaded High Octane <-- Not quite what you can buy at your local Shell. Similar to the Challenger SRT Hellcat, the SRT Demon comes with two key fobs. The black fob limits engine output to 500 horsepower. The red key fob unlocks the engine’s full output of 808 hp and 717 lb-ft torque. With either key fob, the driver can activate Eco and Valet Modes. Eco Mode revises the transmission shift schedule to include second-gear starts. Valet Mode limits the engine to 4,000 rpm and reduces torque output. Every Dodge Challenger SRT Demon is equipped with the standard TorqueFlite 8HP90 8-speed AT. Already a proven and robust gearbox used with the HEMI Hellcat V-8, the transmission gets some significant changes for duty in the Challenger SRT Demon. What do you think Eco mode is worth? All customers who buy new 2018 Dodge Challenger SRT Demon receive one full-day session at Bob Bondurant School of High-performance Driving. The Bob Bondurant School of High Performance Driving in Chandler, Arizona, is the Official High Performance Driving School of Dodge//SRT. All customers who buy a new model SRT will receive one full-day session of high-performance driving with professional instruction and time on the track as part of the Dodge SRT Package. For more information, visit Drive SRT. Hagerty is a company for people who love cars and already protect many of the rarest high performance cars in the world. <-- How much you want it bet it will not be cheap? And that is the full release that was only slightly touched. Why is it not NHRA legal? Because it blurs the lines between Dragstrip and street. Without the Dragstrip safety equipment, NHRA is not ready to sign off on it hitting the strip as built. I think the ECO mode and passenger mirror block-off plate are the only two items in the Demon repertoire that makes sense but the Demon's monster big 840 hp output sure grabs all the air in the room. Then again, I wonder if it can do 30+ mpg with some “Street Legal” low rolling resistance Michelin Energy’s or Goodyear Assurance Fuel Max’s on lighter weight and thinner forged 18" alloys and a 2.92 rear end? The Demon by Dodge. Street Legal and built to make the competition piss themselves before the tree goes green. Did the front wheels actually get almost 3 feet off the ground? I thought I had seen that it was a bit under 3 inches. Heck , I can easily get my front wheel higher than THAT. On my mountain bike. But to be honest, I didn't actually watch the video. That number seems to have been for the distance traveled with the front wheels up. NeilBlanchard and xcel like this. ...and then there's the car type that uses pneumatics to make the car hop. It was 2.9 ft of distance with the front wheels off the ground, not height. Some details on the "Banned by NHRA" part: Any car that runs less than 10 seconds in the quarter mile in competition must have a roll cage, fire suppression system, driver wearing a fire suit, etc. As sold, the car is not legal to run in competition, but a few add-ons will fix that. RichXKU, S Keith, BillLin and 1 other person like this. Full details. Well sort of. While at the MAMA Spring Rally last week, Dodge brought their heavy hitter. Air-flow rate: 1,150 cu. ft/min. At rated power, high-octane fuel flows at 1.36 gallons per minute. Typical shower head flows at 2 gallons per minute <-- UGLY BAD!!! I watched a TV show called The Grand Tour. One episode had the Hellcat, Rolls Royce Dawn and Aston Martin DB11. The Hellcat was averaging 5 or 6 MPG and burning through tires from the idiot driver doing doughnuts everywhere he went. There were 2 semi trailers worth of tires for the Hellcat. Two thumbs down. So, my fuel sucking Volvo 960 burns 4.78 oz of gasoline at 65 mph. Before switching over the Shell VPower she use to go through 5.33 oz per minute. 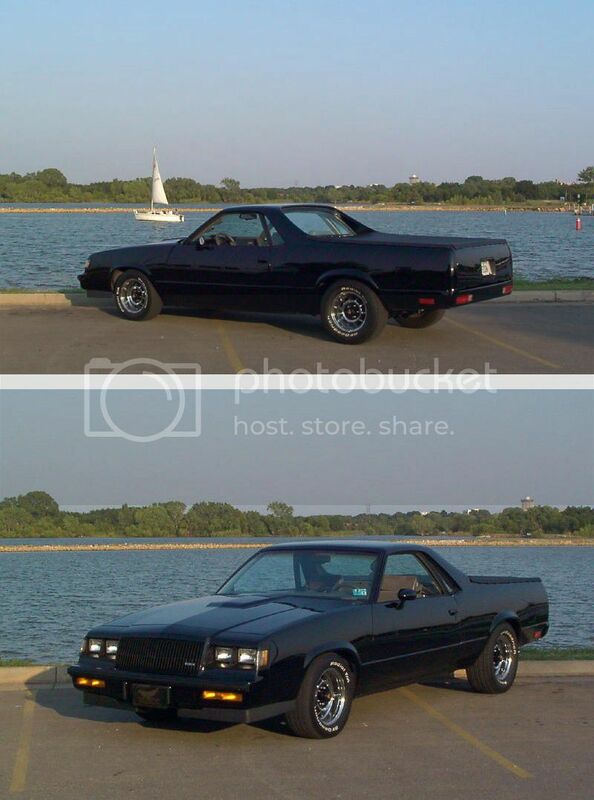 My dad had an 87 and installed a GN drive train, front bits and hood in an 84 El Camino. I think that equates to improvement from 26.0 mpg to 29.1 mpg at 65 mph. That's pretty good! Same ratio applies at ounces per minute, but my brain needed a different frame of reference. "At rated power, high-octane fuel flows at 1.36 gallons per minute." This compares favorably with the 4th Gen Toyota USA Toyota Prius at rated efficiency where 87 Octane fuel flows at .92 gallons per hour or or 0.015 gallons/minute. I used 65 miles/gallon at 60 miles/hour = 0.92 gallons/hour or 0.015 gallons/minute. Geez, and here I thought I did good driving home from Wal Mart Saturday. Mine is usually around 1.2 GPH in normal driving. I prefer to watch GPH rather than MPG. The 2018 Dodge Challenger SRT Demon will be heading to a drag strip soon as it starts shipping the most powerful muscle car in history. Just 3,300 customers (3,000 in the United States, 300 in Canada) will receive a limited-production, 840-hp 2018 Dodge Challenger SRT Demon — the industry’s first purpose-built, street-legal production drag car. Certified by the National Hot Rod Association as the world’s fastest quarter-mile production vehicle with an elapsed time of 9.65 seconds at 140 miles per hour, the Dodge Challenger SRT Demon is capable of achieving 0-60 mph in 2.3 seconds and is the first-ever production car to achieve a front-wheel lift certified by Guinness World Records. Build Sheets (12 per car): These authentic production build sheets document each Challenger SRT Demon’s unique configuration and detail every inch of each vehicle’s assembly. Carbon-fiber Certicard: This card certifies each owner of the fastest quarter-mile production car in the world. The exclusive real carbon-fiber card features the owner’s name, vehicle VIN, serial number and production option(s) sales codes. Archive Portfolio: Provides safekeeping of all original Challenger SRT Demon documents. Exclusive Dodge Demon VBOX Video HD2 system logs data, records runs in real-time. Owners also now have a new real-time precision tool available to prove how their muscle car dominates at the drag strip. Available through Racelogic, the producer of the industry standard VBOX systems, is the exclusive Dodge Demon VBOX Video HD2 data logger and in-car camera system.